A History of Birthday Giving. 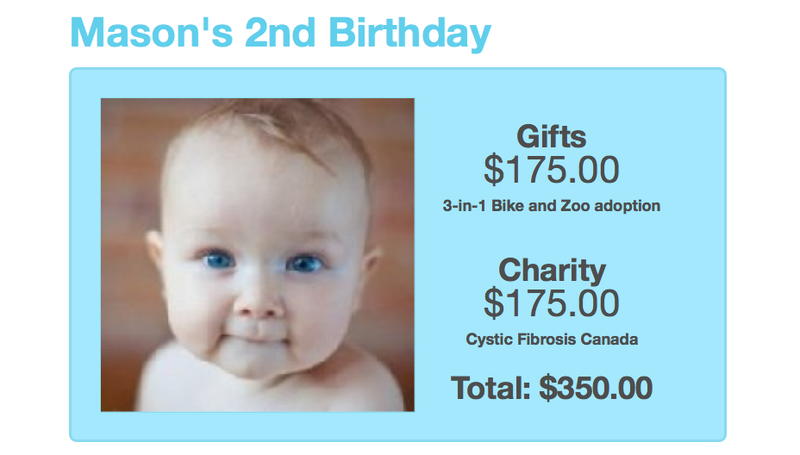 Siblings Adopt Penguins and Polar Bears and Give $345 to Cystic Fibrosis. | ECHOage - Get great gifts. Give to charity. 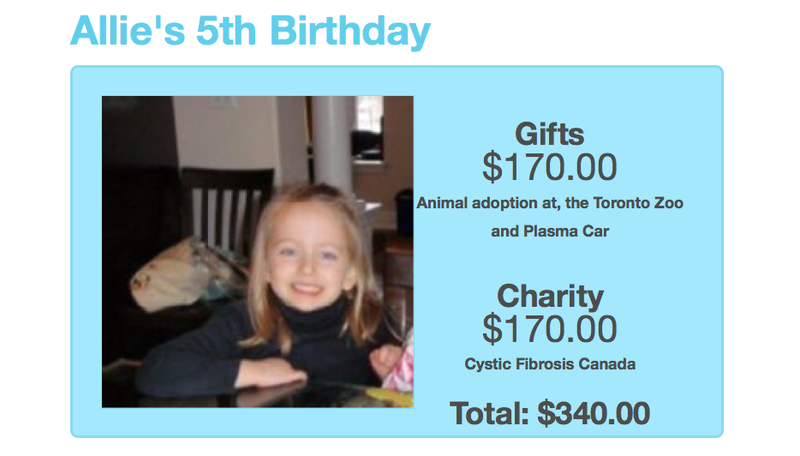 ← Luca Levitates, Raises Hope and $235 for POGO for His 6th Birthday Party. A History of Birthday Giving. Siblings Adopt Penguins and Polar Bears and Give $345 to Cystic Fibrosis. With a combined FIVE ECHOage parties under their belt (and velcro tabbed diaper), Allie and Mason certainly know the great feeling that comes from helping others. Both of these two shining stars, at their most recent ECHOage birthday parties, helped Cystic Fibrosis Canada as they wanted to do their part to find a cure for their cousin. Beautiful! Inspiring! Compassionate! And the giving didn’t stop there… Mason also adopted a penguin and Allie, a polar bear from their local zoo. These siblings seem to have “the need for speed” as their group gift from all of their friends was a Plasma car for Allie and a 3 in 1 tricycle for Mason. Julie, (smart Mama) says there is always money left over from their ECHOage birthday parties and that goes straight to the kids’ savings account. We can only imagine the positive impact these kids will have on the world as they grow. Happy birthday Allie and Mason!